Go Completely Paperless with Your Operations Forms and Save! Trackit has saved other Transit Agencies hundreds of man hours per month by automating operations forms, we can do the same for your organization! Our tablet based entry system saves hundreds of hours of completing, filing, processing and storing paper operations forms. Plus there are no printing costs. Easily customize each form to meet your organization’s requirements. 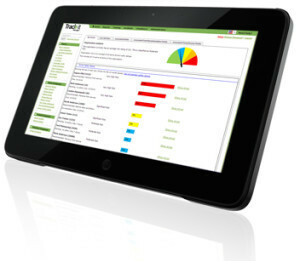 As the user completes the form on the tablet, data is saved and becomes immediately accessible and searchable. No more searching through paper files, no more hand writing errors or illegible forms, no more filing or storing of paper. With Trackit you will have consistent, high quality forms, instantly! You choose which department has access, then the forms become part of an employees’ files or part of equipment maintenance records. Your supervisors will have more time to stay in the field, coach drivers and give observations. Start saving today!